Despite Asia’s rapid growth, vast sections of its population still live in poverty and suffer hunger and other forms of deprivation. Merely relying on Asia’s growth will not help the deprived see a better future in their lifetimes. Ways must be found to make growth more inclusive combined with proactive public action to bring substantial improvements in the lives of Asia’s deprived people. 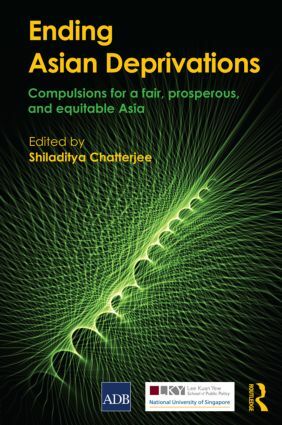 This book is written by a set of experts who have been working long on reducing various aspects of human deprivations in Asia. It begins with a discussion of the massive dimensions of deprivations that continue to exist in Asia. Although many countries have adopted inclusive growth strategies to enable the benefits of growth to reach the poor, much more needs to be done to make growth processes more broad based and beneficial to all. The book points to essential action needed to bring this about. The book also emphasizes the crucial role of determined, target driven public action if Asia’s deprived populations are to see substantial improvement in their lives. Practical measures to tackle problems of hunger, unemployment, gender discrimination, ill health, lack of quality basic education, inadequate access to clean water and basic sanitation are each discussed. The problems of the urban poor and migrants who continue to flock to Asia’s cities are also highlighted. The book also emphasizes the need for an appropriate environment for public action to succeed including strong participatory institutions, effective governance, social protection and regional cooperation.